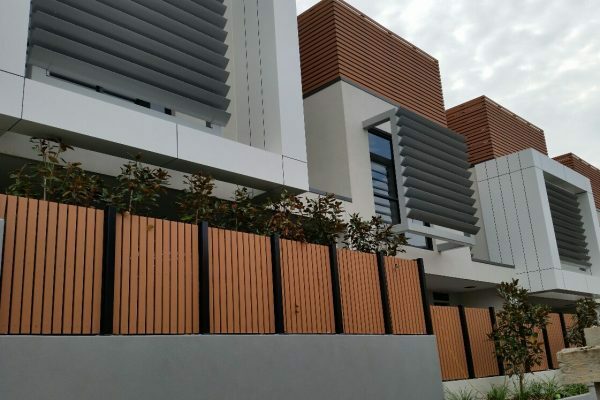 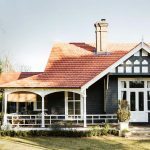 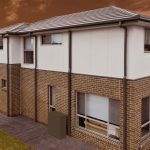 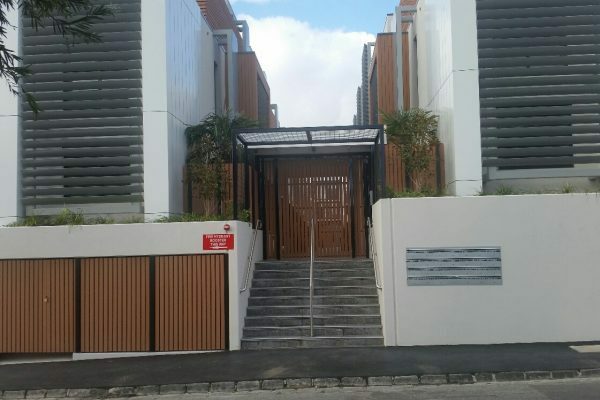 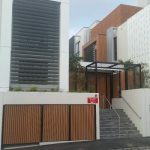 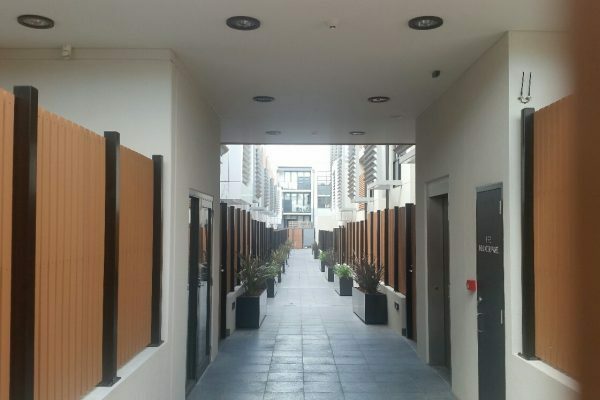 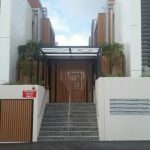 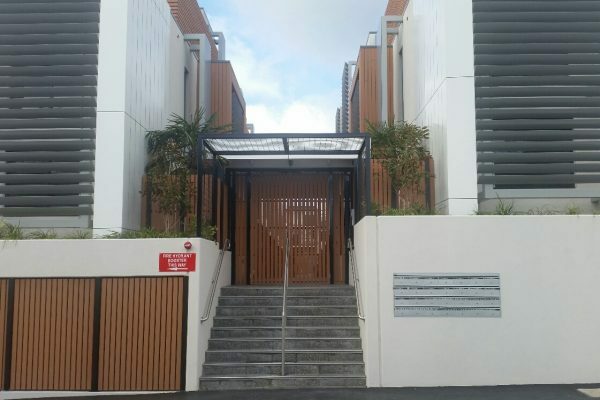 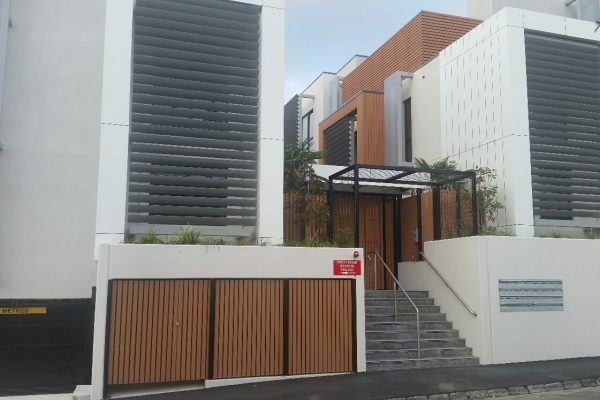 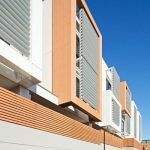 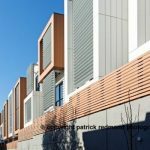 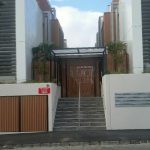 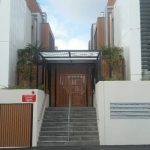 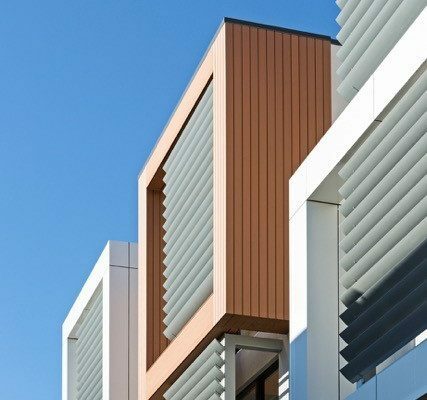 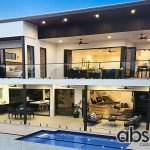 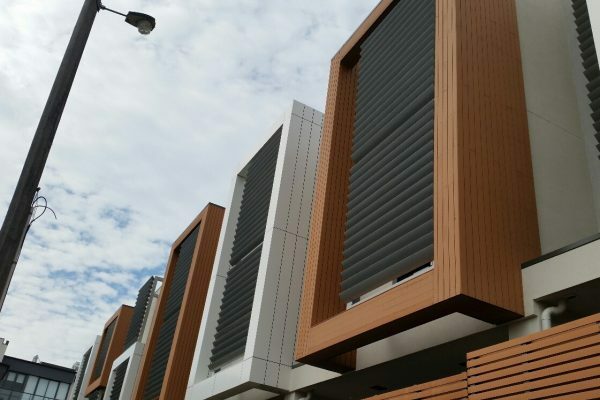 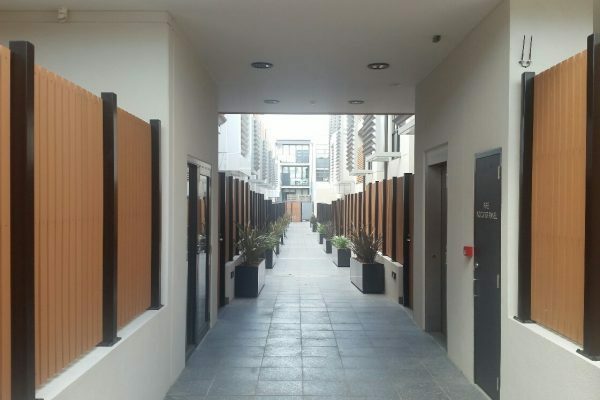 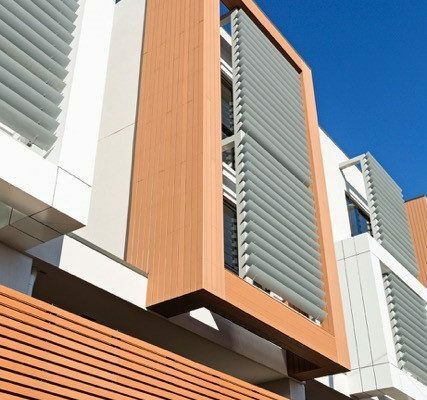 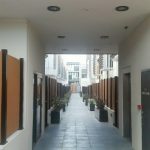 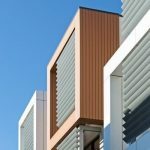 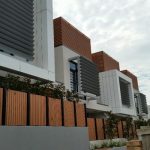 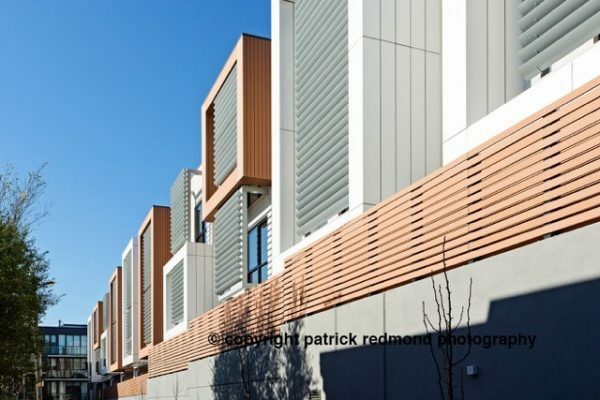 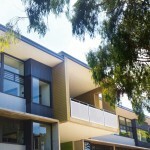 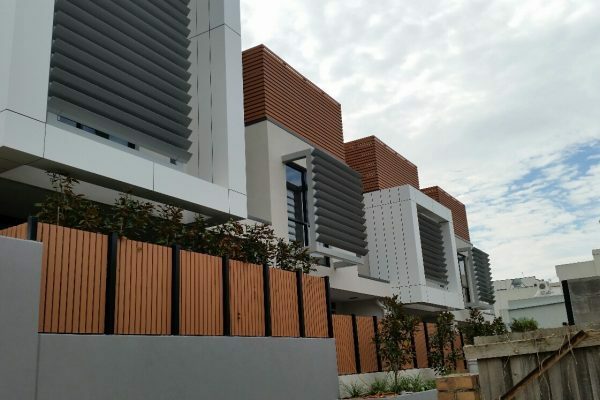 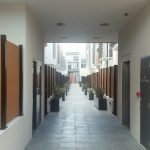 When the architects were choosing a cladding material for this luxury townhouse development in the Melbourne suburb of Kew, an exotic rainforest timber was originally specified. 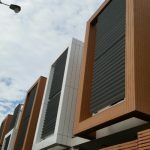 When the cost of ongoing maintenance was discussed, however, reality hit home: the body corporate would have to foot the bill. 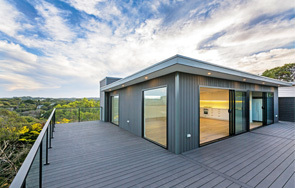 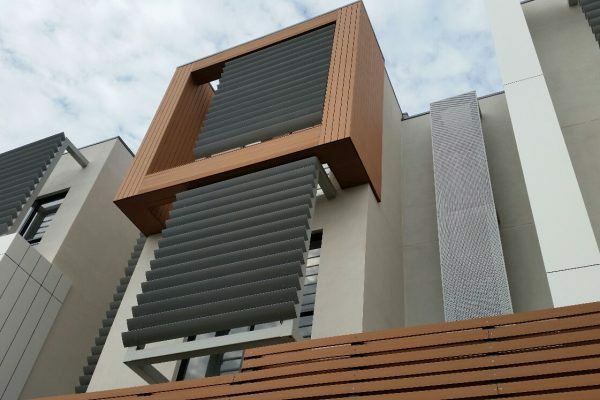 Clearly, an alternative was required and after an extensive review process, Futurewood’s low-maintenance wood-plastic (WPC) composite exterior cladding proved the obvious choice. 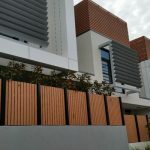 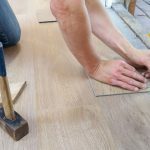 The look of the material was also an important consideration and any concerns about using “fake wood” were soon dispelled when samples of Futurewood’s EnviroSlat were presented for review. 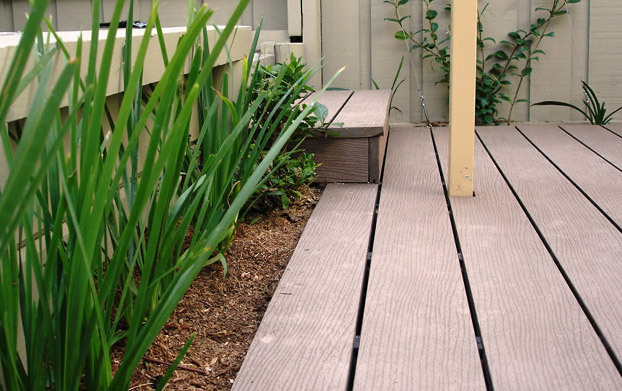 The colour is evenly spread throughout the product and each board boasts a natural-looking, coarse-sanded finish. 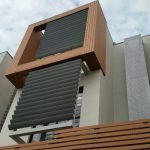 So not only is no oiling, painting or staining required, the cladding looks amazing. 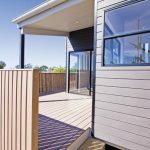 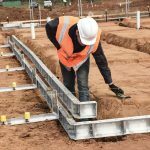 In the photos shown here, Futurewood’s EnviroSlat was used in three different profiles: 104mm x 19mm, 125mm x 19mm shiplap and 70mm x 15mm. 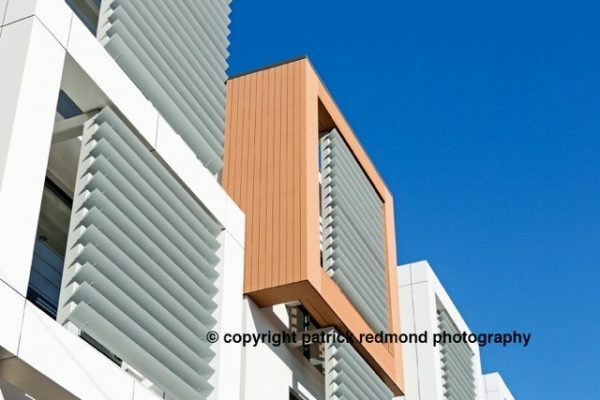 The colour is simply called Wood. 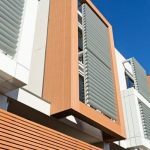 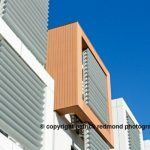 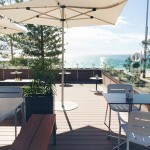 The Futurewood product range includes weatherproof cladding, decorative cladding, decking, fencing and slatting, all of which are made from a solid WPC material comprised of up to 90 per cent recycled or reclaimed material. 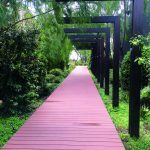 This means you can rest assured that no trees were felled and no animals displaced — as is the case when harvesting rainforest trees — to make any Futurewood product.